The term “Cassata Sonoma” or “us” or “we” refers to the owner of the website. The term “you” refers to the user or viewer of our website. You must be 21 years of age or older, to order or receive alcoholic beverages from Cassata Sonoma. Receipt of shipments containing alcoholic beverages requires the signature of a sober adult (a person 21 years of age or older who is not intoxicated). Wines purchased from Cassata Sonoma are not for resale, and are for personal consumption only. Due to the ever-changing nature of wine shipping laws, we may be able to ship wines, directly or indirectly, to all states except those which do not allow shipments. If Cassata Sonoma is unable to ship directly to your state, we can arrange for the sale and shipment of our products through a third party. 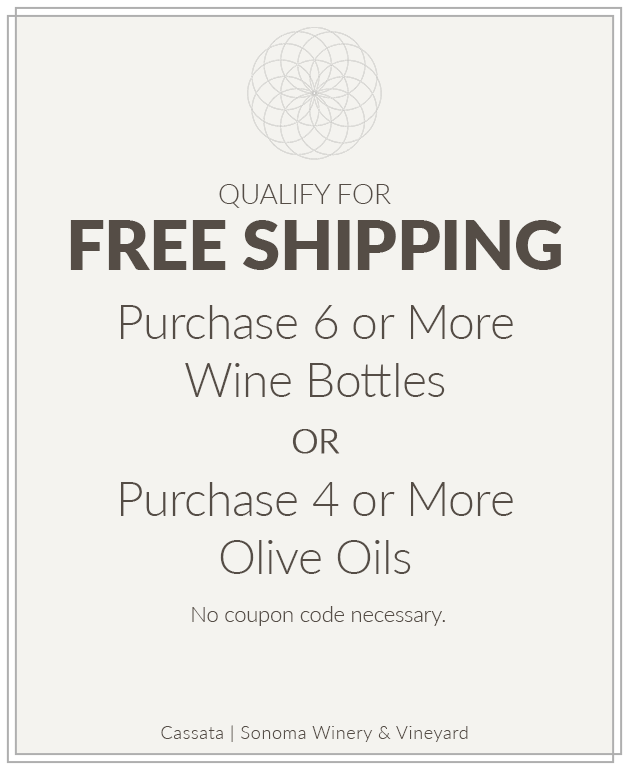 Please note, when dealing through a third party, wine prices, discounts, and shipping costs may differ from those quoted by Cassata Sonoma. Wine is a perishable commodity. Wine does not like extremes of temperature: hot humid summer and cold winter weather may adversely affect the condition of your wine during shipment. Cassata Sonoma is not responsible for, and will not replace wine that is damaged by extreme weather conditions during shipment. When your wine order is picked up by the common carrier for delivery, responsibility for the wine becomes the responsibility of the purchaser.